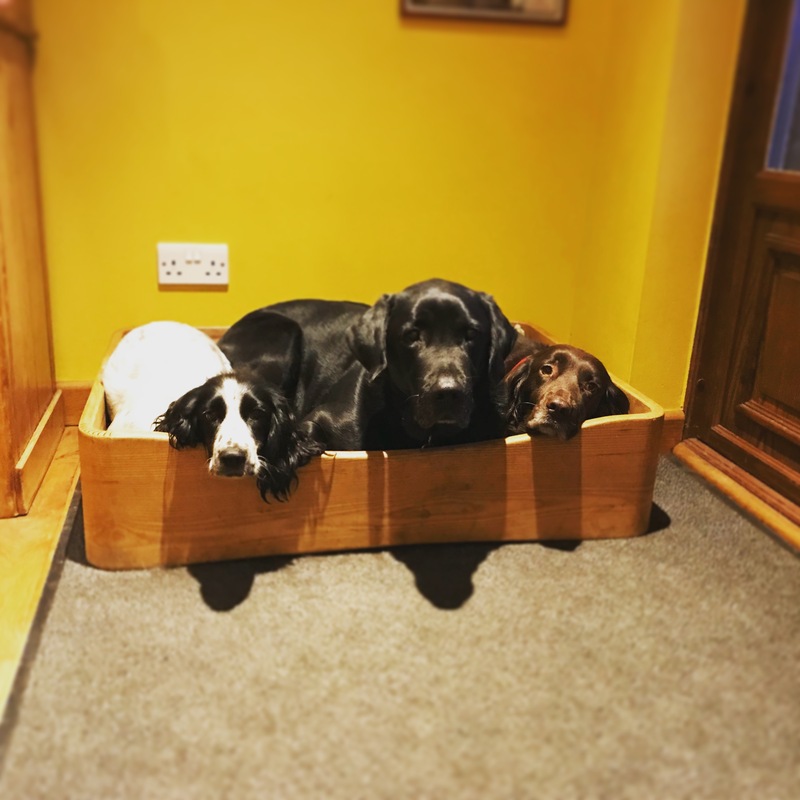 Dog bed created using one strip of wood. 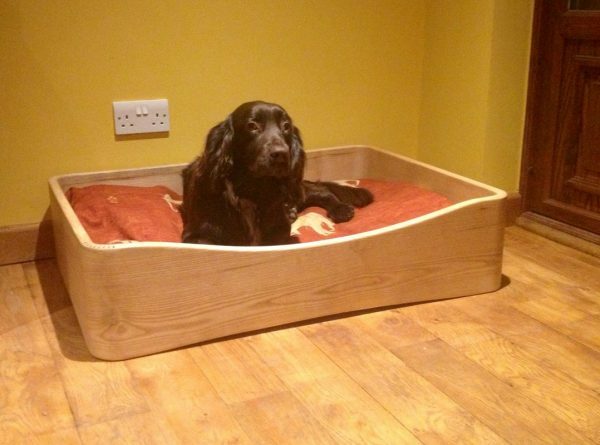 The dog beds have a sturdy ply wood floor raised up off the floor to allow air to circulate. The beds are finished in an attractive durable hard wax oil creating a winning combination with local ash and oak. Sadly the cushion is not included. But being the clever people that we are the Joules dog cushions are designed to fit inside our dog beds other cushions are likely to fit as well. Each bed is made bespoke so sizes might vary slightly.